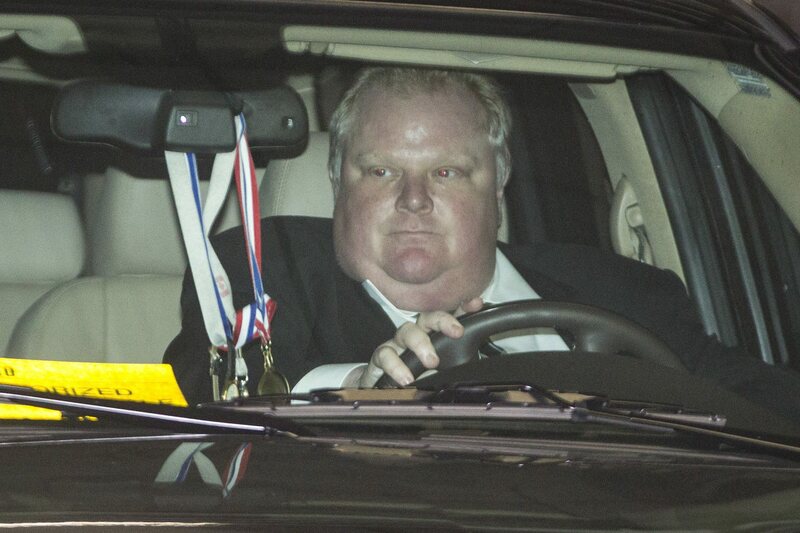 TORONTO Toronto Mayor Rob Ford denied Friday that he smokes crack cocaine and said he is not an addict after a video purported to show him using the drug. The mayor of Canada's largest city did not say whether he has ever used crack. Ford did not take questions from reporters at a news conference at City Hall held after a week of silence and after close allies released a letter urging him to address the video. The video apparently shows Ford smoking crack. "I do not use crack cocaine, nor am I an addict of crack cocaine," he said before going on to criticize the media. Ford had been ducking the media and his only comments before Friday on the scandal came a week ago, a day after the story broke, when he called the crack smoking allegations "ridiculous" and said the Toronto Star newspaper was out to get him. Ford said he had kept quiet on the advice of his lawyer. The video has not been released publicly and its authenticity has not been verified. Reports on gossip website Gawker and in the Toronto Star claimed it was taken by men who said they had sold the drug to Ford. The Associated Press hasn't seen the video. "It is most unfortunate, very unfortunate, that my colleagues and the great people of this city have been exposed to the fact that I've been judged by the media without any evidence," Ford said. City Councillor Glenn De Baeremaeker said he was profoundly disappointed in the mayor's statement and called on Ford to resign. De Baeremaeker said he believes the reports about Ford's alleged drug use and believes Ford's tenure is over. "I don't believe the mayor," he said. "He should resign and then go seek help." De Baeremaeker said he's observed erratic behavior from the mayor. "The mayor is just imploding," he said. "The mayor had an opportunity to acknowledge that perhaps he does have a problem, and to take a leave of absence, perhaps to take care of himself and his family, instead he went on the attack." Other councilors said the mayor wasn't comprehensive enough and said the distraction clearly wasn't over. Ford fired his chief of staff on Thursday. A statement from the mayor's office gave no reason for Mark Towhey's dismissal. Towhey, who was escorted from City Hall by security, would only say that he did not resign. Ford was fired from his job as football coach at a Catholic high school on Wednesday for reasons unrelated to the scandal over the alleged crack video. Toronto Catholic District School Board spokesman John Yan said the decision to remove Ford as the head of Don Bosco Eagles Football program had to do with the comments the mayor made to the Sun TV Network in March that parents found offensive. Yan said Ford characterized the parent community as not caring about their kids, that the students were involved in gangs and guns and that if it weren't for him they would be in jail. Ford has been embroiled in almost weekly controversies about his behavior since being elected in 2010, but these are the most serious allegations he's faced yet. The Toronto Star reported earlier this year that he was asked to leave a gala fundraiser for wounded Canadian soldiers because he appeared intoxicated.